With over 30 years fish farming experience Neil originally came from a trout farming background. 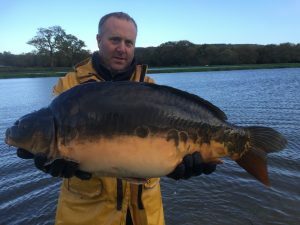 However he soon realised, through conversations with fishery owners and seasoned carp anglers, that there was a gap in the fish farming market for large scaley carp that anglers dreamed of catching. This encouraged Neil to take the plunge and go out to setup his very own Carp specific fish farm. Dave has recently returned to Frontfish. Having started working for Neil back in 1998 as a weekend helper, his passion for fish farming was clear to see. He went on to complete an NVQ in Fish Farming at Bicton college before heading to Sparsholt to complete an HND in Fish farming and Aquaculture. All the while dedicating all of his spare time to working on the farm. Dave continued to work for Neil for several years after graduating and has now amounted over 10 years experience in the field. He has been involved in a massive part of Frontfish UK’s development and is now the driving force behind its future. Frontfish was established in 1996, now in its 24th year of production. 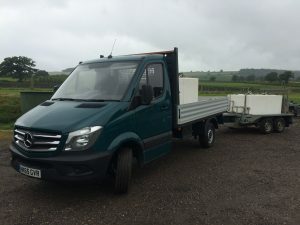 When first brought, the site was just a green field, but over many years of blood sweat and tears, Neil relentlessly pursued his vision and has managed to turn it into what we have now! The farm is well established now with 17 ponds producing 10 tonnes of carp each year. A state-of-the-art hatchery was built to ensuring the fry have the very best possible start. Our brood stock consist predominantly of Leney and Dinkesbuehl strains. The carp we produce are fast becoming the first choice for some of the countries premier fisheries. 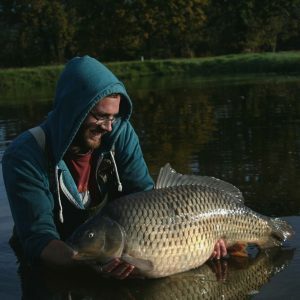 Most of our customers re-order time and time again due to the spectacular and varied scale patterns, great growth rates and the legendary fighting qualities these carp possess. 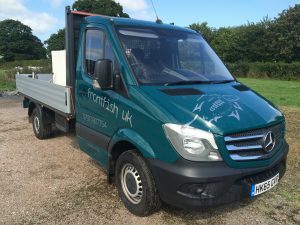 We are relentless full time fish farmers employing good honest husbandry techniques to keep the fish as happy as possible all year round. 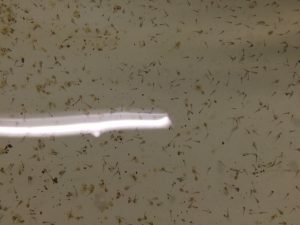 This results in very good growth rates as well as incredibly hardy fish. This is an area we take particular pride in. 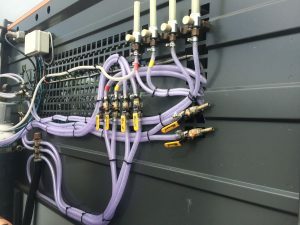 All our vehicles are equipped with full oxygen monitoring systems linked into the cab of the vehicles so that we are able to keep a constant eye on the oxy levels and adjust accordingly to keep the fish at a safe level throughout their transport. 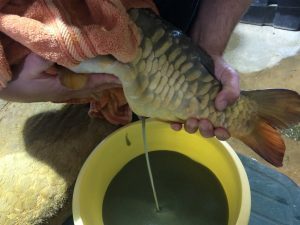 The tanks have false bottoms on them so that the oxygen and aeration hardware does not come in direct contact with the fish, potentially harming and marking them. 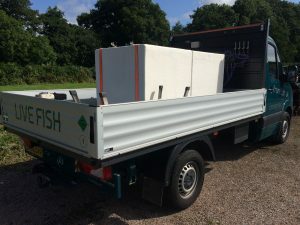 We also add high density foam inserts into the top of the tanks to significant reduce the risk of the fish hurting themselves if they collided with the lid of the tanks.